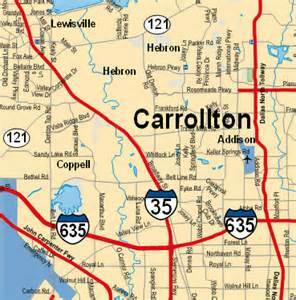 Carrollton is a city in Denton County that is a vibrant corporate and residential community. Carrollton has been selected by Money Magazine as the 19th, “Best Place to Live” in the whole country. Also, this city prides themselves on being a Crown Community for its dynamic efforts to develop this city as a model community within Suburban Dallas. Besides the many recognitions and titles Carrollton holds, it offers many luxurious amenities and activities for the whole family which include golf, hike and bike trails, a nature preserve, a senior center, tennis courts, a Historic downtown district with a quaint shopping and dining experience. Another way that Carrollton provides the perfect place to live is in the fantastic school districts that make up this community. With outstanding teacher ratings as well as high accountability ratings, anyone can feel good about sending their children to Carrollton Farmers Branch ISD schools. Discover the information within links below to see why the city of Carrollton provides a unique place to live.